Dr. Johnson . Detail detail from a portrait of Dr Samuel Johnson by Joshua Reynolds. 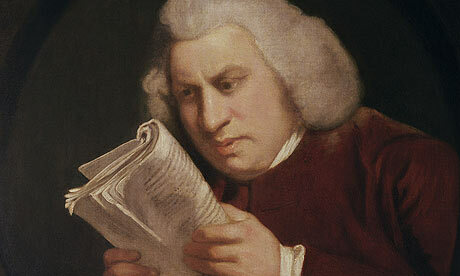 Today April 15 cannot pass by without noting that this is the day that Johnson’s dictionary was published. Particular favorite definitions of mine include the list below and this is where we began in class to day.. with these list of words and their denotations. The students listened to the denotations, felt the language ‘sounded different from today’s language’ but that it was ‘understandable but not quite of the same rhythm’ as one student claimed. ‘Tawdry’ is meanly showy; splendid without cost:fine without grace; showy without elegance’. ‘Bedpresser’ is a heavy lazy fellow’. ‘Witworm’ is ‘one that feeds on wit’. ‘Mushroom’ n.s.’ An upstart: a wretch risen from a dunghill’. ‘Higgeldy-piggeldy’ : A cant word corrupted from higgle, which denotes any confused mass, as higglers carry a huddle of provisions together’. ‘Dull’: Not exhilaterating (sic); not delightful; as, to make dictionaries is dull work. Below ‘beetleheaded’, perhaps not so common now as a disparaging term. Bring it back I say! There are 42,773 entries in Johnson’s dictionary which was compiled despite personal tragedy, financial anxiety and depression. When Johnson completed the dictionary it weighed about 20 pounds. This dictionary was expensive to produce so the price, when it was published, was set at 4 pound 10 shillings. Johnson used more than 500 authors to support his quotes. How many definitions does the active verb “To Take” have? To TAKE (verb active) has 113 definitions. According to Johnson’s definition, a “Lexicographer” is what? a cracked bell, or a torn heart. by the moist half-open darkness of the leaves. and I stopped, wounded by the wandering scent. Neruda’s poem encapsulates our search for the roots, or struggles to hear the etymological ‘whispers’. Friday the room was buzzing as students worked together to create trees from the roots they have discovered. We are literally creating a forest of words. As in the forests of fairy tale, there are challenges to be met , as well as roots to trip the unwary and paths that lead to surprising linguistic destinations. We thought we knew these words..they have all been encountered through the year, but revisiting what we thought we knew, shows us how much more there is to be discovered and how much more we know now than when we first encountered our wordy companions at the beginning of the year. To take learning complacently, to assume we’ve ‘done this’ is to remove the light so that learning becomes stunted and pallid. With words it is always interesting to revisit them, new paths appear, other words emerge with more stories to tell, and those we thought of as familiar, we see as new. We began here on Thursday. I had always been wary of PIE roots- too distant for students I worried, too vague perhaps. Not so- it is my limitations that I have imposed on students. As soon as I had shared a diagram of PIE roots in the form of a tree, this knowledge like a seed has grown and flourished in the class, literally into the concept of the forest and in the fearlessness with which students reach down to the PIE roots. The forest has grown out from our efforts to understand how roots and bases are connected, how the roots provide the echoes of the past in a single word and in a group of words, how one root can sometimes lead to many base elements in present day English. We are beginning to see how the whispers of the past permeate the present. You will see enthusiastic exploration of the forest from students and witness many an awkward stumble over the roots from me! I had reason to follow up a reference to Richard Chevenix Trench , a 19th century philologist and discovered his book is printed in full online ( O the joy of internet!) and so passed several hours on Friday evening! So it’s with this rather lengthy quotation from On The Study of Words (1859, p.1) that I want to end this post. Dear old Richard Trench eloquently expresses the value of why we should venture into the forest of words. In his series of lectures, this being from the first, he stated that treasures of wisdom and knowledge do not just arise from books…. Image above: :The Lost Child by Frederick McCubbin, Australian Impressionist painter. McCubbin’s work of a hostile, alien environment, the bush, reflects a common motif of the period for Australian writers and artists. In this painting he was directly inspired by the news from The Melbourne paper The Argus of missing girl Clara Crosbie lost in the Australian bush for three weeks near Lillydale, in 1885. ( National Gallery of Victoria). ‘Listen’ to the Australian bush as you view Frederick McCubbin’s Lost Child an ingenious linking of sound and art created by sound artist Jay-Dea Lopez. Read about Neruda here and the rumours of his murder here. Can students match root to the word? Can they give the denotation of the root? Can students accurately divide the words into morphemes? Can students state whether the base element is free or bound? Can students give a few examples of other words sharing the same base element..of other base elements springing from the same root? Can they link the word to characters in the novels read or our units this year? Today we discussed the fact that just because we can see ‘pass’ as the base element in ‘compassion’ it is not a free base element because the letters superficially look like the free base ‘pass’. In compassion the base element is bound while in pass, it can stand alone without affixes and so is free. Both base elements come from different roots. Read more about Edvard Munch in a Smithsonian article: Beyond the Scream (title of an a MOMA exhibition) and listen to a fascinating BBC discussion on Munch and his life: Munch and the Scream. ‘The Cruel Hard World’ : Testing their mettle! The wily observer of all things connected with school- Nigel Molesworth pictured here with young Fotherington-Thomas skipping around in a moment of joie de vivre greeting the clouds and the sky. Recognize morphemes for the words we have studied and indicate this in the form of a word sum. Identify several words from a matrix as well as create a matrix to represent the related words. Recognize base elements and understand the difference between free and bound bases in the words that have been our focus all year. 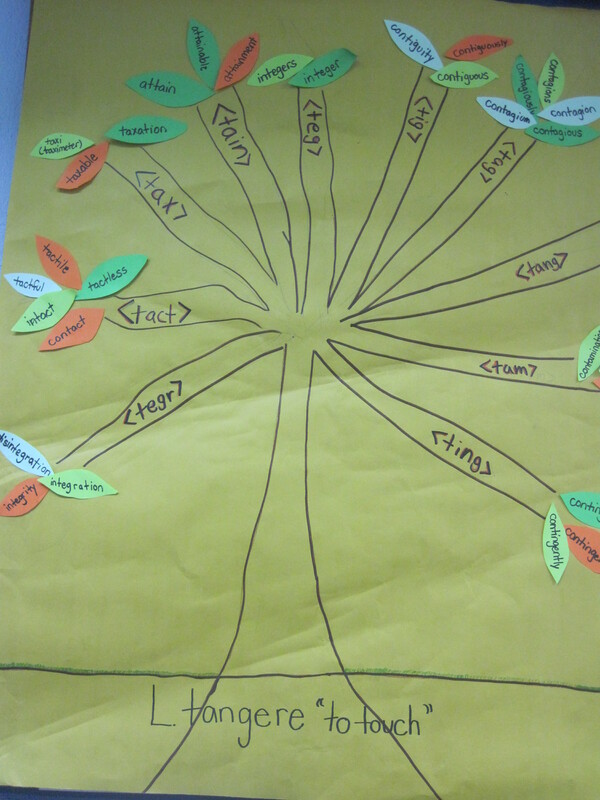 Identify related words- words sharing the same base and therefore the same root. Identify affixes- be able to recognize many. Know something of the role of suffixes. That is, know suffixes can indicate person, number, tense and give the grammatical clues of how a word will be slotted into the sentence-indicate whether it can be a noun, a verb, an adjective, an adverb as well as be aware that through affixation many new words or ‘lexical items’ can be formed. Locate and search through resources to identify roots. Be aware that one root can sometimes lead to many bases in Present Day English. Be aware that a word’s meaning can change over time. Mention the word quiz, test, exam and the response is audible. ‘Quiz’ , my students, interpret as less intense than ‘test’. ‘Test’ draws always a loud sucked in gasp and ‘exam’… well, in Middle School we never mention this- apparently this is too intense a word for an adolescent until you reach High School and even then exams can be talked about as ‘finals’ . Interesting concept applying ‘finals’ to an assessment -when does learning stop? Is that ‘ it’ for the particular body of knowledge when the last ‘quiz’/’test’/’exam’/’assessment’ of the year is completed? Do these concepts not get thought about or discussed or just plain wondered about ever again? This had me wondering about the difference in meanings of the words ‘quizzes’, ‘tests’ and ‘exams’. When ‘quizzing’ I had no idea that etymologically one is asking about the essence of self. 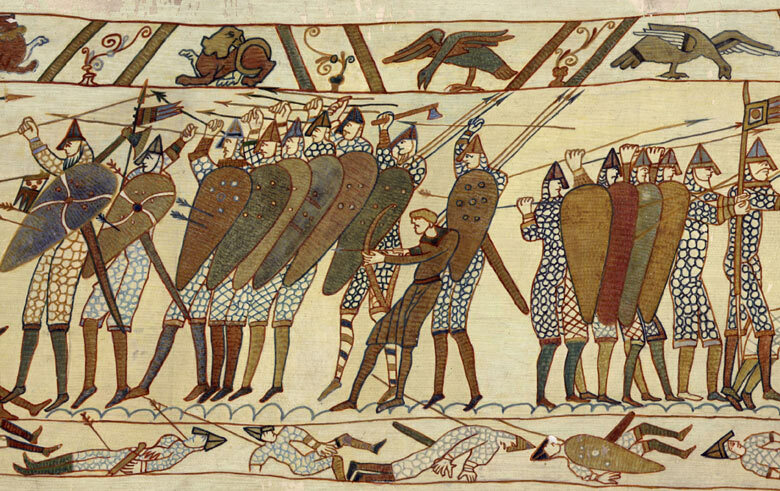 When ‘testing’ in the 14th century I would have been assaying precious metals … a test was the vessel used to deem the worth of the metals and note the connection to weaving! ‘ Exam’, which only appeared in English around 1848, is a clip of much earlier ‘examination’ and initially referred to ‘judicial inquiry’ (14th century) and as test of knowledge from 1610. ‘Examine’ however in the 13th century meant ‘interrogate, question and torture’ which students would claim to still be true! ‘Assess’ in the 15th century had a sense of fixing the amount of a tax or a fine and shifted somewhat from property in 1934 to ‘judging the value of a person or idea’. Sadly saying ‘test’ makes my students take all this seriously! So a ‘test’ or ‘ exam’, not I hope mindless regurgitation. It’s the process before the test in class that really counts. See below brief clips of our study guides. It’s an interesting review process… two words a day, then the kinesthetic process of making the guides helps I hope to consolidate morphemes particularly for those who are shakier in their ability to do this. I hope it is also consolidating affixes. When I have done this before, it has become quite a social and bonding event for several weeks. Students test one another on the ‘foldables’ and gain enormous pleasure in ‘getting it right’. I always have a flood of kids coming in before school (!!) with their foldables wanting me to test them . They scrawl all over the white board reviewing and quizzing one another. It’s a great way too for me to listen to them, observe their understandings and where necessary give more explanation. We prepare with morphemic analysis, ensuring we are all in agreement. We apply the skills and information students have gathered all year. As always with word study and this too is true for any ‘assessment/test’- my aim is to make connections to literature, history, art, movies, current events. Words do not exist in a vacuum waiting for us to dish them up to students to analyze. I want students to develop a love of and joyousness in reading, writing and uttering words. ‘5 rats eat 6 seed cakes in 43 mins, 9secs. They pause for twenty minutes. Then they eat 29 rock cakes in 15 secs. (dead). They pause for one minute,13secs. Then they eat a cheese in 33 minutes. 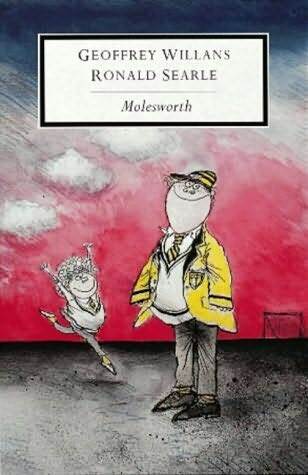 ‘The Molesworth tetralogy is one of those works of sublime genius which no reader will ever forget; more than that, it gives one a prism through which to view the world.’(Philip Hensher) Or watch the Youtube clip below to get a flavor of these books and the educational trials of young Nigel and the school and his masters. Adolf Konrad, packing list, 1962–63. Adolf Ferdinand Konrad papers, 1962–2002. Archives of American Art. 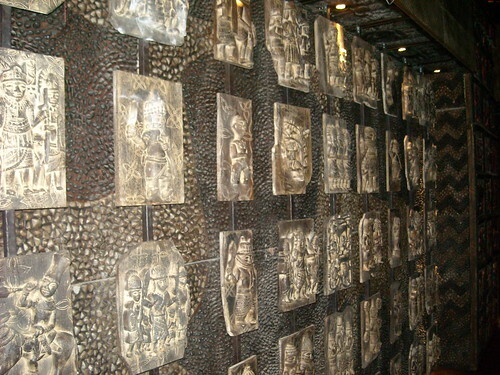 Smithsonian Institution. I have often bemoaned lists of any sort and as a proverbial list hater and listophobic haunted by doubts such as: Where have I put my list? What should I include? How can I not feel daunted and dominated by the list? As a result of list intimidation, I have suffered the chaotic consequences of list avoidance! However, of all of the lists I have hated, perhaps it’s vocabulary lists most of all that rankle. I dislike the smug assurance that these lists will expand students’ vocabulary and boost reading scores. Mostly, I see these sort of lists as an inadequate way to foster an understanding and love of a words and that these lists are not in any shape or form a ‘study’ of words. All too often these lists are given to students with the instruction ‘Write the definition and write a sentence using the word’. All too often, sentences using the new word are trite and shallow. Rarely is there any discussion of the morphology or the etymology. Rarely are students asked to make connections to a word’s ‘relatives’- those sharing the same root and base. Yet, ironically perhaps, what follows is our work on a list of words! These words are ‘listed’ as concepts that are critical to the focus throughout the year. As such these words will be encountered many times and in a variety of situations. All these words have been part of a year long list visible from the first day of school. These words are on our tables and on the walls. We have the words written individually on A3 paper with sticky pad notes that grow and flutter through the year with all the connections students have found in books, texts, articles, current events, movies, art. We refer to them constantly, asking students to make connections with these words to the literature we are studying or link to an art piece and justify their thinking. We list all the people we meet throughout the year- fictional, historical and very much alive and then connect them to one of the words. We reinforce concepts of prefixes and suffixes and base elements with these words and make lists of these playing various ‘games’ such as: “ I’m thinking of a word with a bound base element, a prefix and two suffixes’ or ‘ The root is from Latin and has a sense of twisting’. I hope by the end of the year students have a deep understanding of these words, the roots and back-stories, the connotations as well as the process of how to go about ‘reading’ and researching a word. I’ve learned that lists aren’t all bad- it’s what you do with them: how you group them, what patterns and principles you explore, what questions you ask and what questions the students ask about them! It was a day of madness and mayhem as we attempted to wrap up our independent word study investigations. The idea that you can ‘wrap up’ anything swiftly and neatly in word study is somewhat deluded. There is always another aspect, another line of inquiry, another connection that can be pursued. We decided that everyone would share their insights into their chosen word and after completing a matrix to indicate the related words, find somewhere quiet to record their connections and their investigative process. The students agreed that Quicktime screen recording would be a fast way of sharing their thoughts thus far. As ‘experts’ on their word, students were expected to ensure information was accurate as possible. I adapted Janet Allen’s concept ladder to include more than a definition of the word- to add denotation and connotation, elements and root and through examples from literature, history and the present day, to consider the more abstract reflections as to the effects and causes of the particular ‘concept’ under investigation. Often these connections have led to thoughtful written responses but today we thought oral explanation aided by their ‘ladders’ was an important, often under utilized way of assessing understandings. It is interesting for me to see how far students go at this stage of the year without teacher prompting. Many students rushed the word sums in forming their matrix, all too eager to press ‘update’ on the mini-matrix-maker to experience the heady pleasure of an instant and satisfying result. Yet while this is a thrill with all those word sums transformed into neat columns and rows, persistence, thoughtfulness and care to be as accurate as possible are important. Working through the word sums in order to construct the matrix was for some students less exciting than the hunt for the root. However, this is a crucial part of consolidating morphemic understanding. In the construction of the matrix, there were many questions of one another, their resources and me. The matrix construction process too helped clarify the concept of compound words with some students finding examples of other free bases that can be attached to their base. Many recognized that over, under and by were not prefixes but free base elements and that fy and fic were from Latin facere : to make or to do, and are frequent base elements in present day English often mistaken for suffixes. How can one not become besotted by lists when looking at Adolf Konrad’s inspirational packing list above? As I sit here a little shivery in the Tokyo Narita airport ( on my way to an etymological Word-Fest that I bet involved lists in the organizing) I’m wondering why didn’t I pack better and plan with a beautiful list like Adolf’s above. I will listen to and watch my student’s talking through their understanding of a word and make a list- a list of where to go next, of what each student has learned so far, of what suffixes have been identified or confused… Lists are not all bad… I’m moving from listophobia to listaphilia! Further Postulations about Pater: The long and winding road. This image is a satire on Banks“The Botanic Macaroni”. A macaroni was a pejorative term used for a follower of exaggerated continental fashion in the 18th Century. It has been a ‘long and winding road’, a bumping along in fits and starts as Huy and I try to determine the base elements in present day English arising from the Latin root pater, father. Watch our less than graceful leaping between etymology and morphology, our bumbling diachronic and synchronic analysis! We follow leads and I often lead my companion astray into perhaps unnecessary but interesting diversions. This particular journey on this long and winding road began with an investigation in to the word ‘perpetration’. This journey has required patience and persistence and I applaud my companion on this quest, Huy, who has not wavered but continues to ask questions and research which takes us even further into the wordy wilderness. All too often one question leads to another and then another and we realize we have strayed far from the path. Perhaps because he asks the questions and notices patterns, or has been challenged by my questions and puzzlement, Huy’s motivation and engagement in his research remains high. Asking students to support their claims about morphemes with evidence is integral in this process. We have lists that as a class we have built for suffixes but as Huy indicates it is far from exhaustive. We have a prefix list (courtesy of Real Spelling) and this has been a critical support for students in developing initial confidence in morphemic analysis. Note my felonious dodging away from felon… I know I need more thinking than time in this session permits and I would be again drifting further off the path and purpose of our investigation. 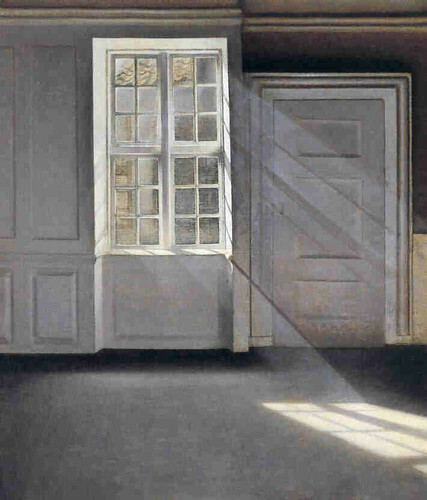 Nevertheless, I lead Huy astray again with other brief glimpses of words: –on: ‘beckon’, ‘button’, not really staying long enough to establish anything. Yet these discursions offer unexpected and tantalizing word-vistas encountered on the journey . In the final video below, Huy postulates that –ern is a suffix in paternal. I had never considered this a suffix. Of course I have seen it often, just not identified or recognized it, nor the suffix -ot. As Huy shows, neither was on our list! We felt like botanists returning with precious specimens from expeditions, an apt analogy, as horticultural terminology ‘flourishes’ in linguistics with roots and stems and hybrids as Australian linguist Kate Burridge indicates in her books Blooming English, and Weeds in the Garden of Words. The image above is one the great plant explorers, Joseph Banks a member along with Swedish naturalist Daniel Solander, of Cook’s expedition to record the transit of Venus and plant and animal life encountered on this voyage to the South Pacific. Yet even the great Banks, the ‘virtuso’ botanist as Robert Hughes calls him, could be led astray! In his desire to collect more specimens when the crew were restocking water and wood supplies in Tierra del Fuego, Banks, his fellow botanist Daniel Solander and their plant foraging party, fell prey to assumptions about the weather and blithely ventured off the beaten track. Read here about the dangers of straying and assumptions- of bogs, epileptic fits, exhaustion, blizzards, hypothermia, loyal greyhounds and death! Huy, a speaker of English for only two years, is currently investigating the word ‘perpetrator’, a word key to our current studies as we consider how prejudice and bias are created and speculate as to how we can overcome them. We ask what allows some individuals to take a stand against prejudice while others choose to participate in it. We wonder why people stand by while civil liberties are removed and terrible acts are committed. Below Huy considers the word perpetrator and shares his thinking. Huy was caught up in this investigation beginning the previous evening and throughout the day. Sadly, his last two videos of Friday have no sound! However, he sent me a message tonight, Sturday, saying, ‘I can do this!’ and recapped his thoughts in two new videos about how he regards this base element thus far. 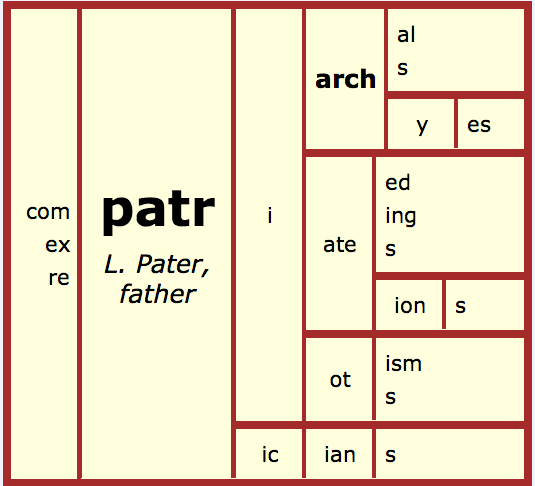 He sees ‘petr’ as one base from the Latin root ‘pater’ meaning father and speculates as to whether ‘patr’ is in fact another base. He wonders about ‘patriot’- unsure as to whether ‘-ot’ is in fact a suffix – he has seen zealot (and knows, although does not speak about this in this video, that ‘zeal’ is a free base element) as well as the word divot which he feels may support the’-ot’ as evidence for it being a suffix. He also wonders as to whether the base is ‘patri’ or <patr+i.>. We had discovered the compound word ‘patriarch’ on Friday and had talked about whether this word ‘patriarch’ indicated that ‘i’ was a connecting vowel as connecting vowels act like suffixes and connect one base element to another or occur after a base and a connect to another suffix. Huy felt the term ‘combining element ‘ was confusing in reference to ‘patri’as the term does not indicate whether it is a base or a stem that occurs frequently in many words. Below is our Friday discussion after Huy had thought about this for homework the night before- you will see my online comments suggesting he consider his suffixes! What a valuable assessment piece! This shows the level of engagement he had with this investigation. Huy’s videos below also reveal, without any teacher prompting or questioning, the degree of his etymological and morphological understanding and thinking, as well as the ease he feels in manipulating the various tools to indicate his metacognitive awareness of the process involved in this research. The image above is of course Picasso’s Guernica painted in response to the bombing by German and Italian warplanes on the Basque village of Guernica.